Also bring along a complete list of your medications since this will make it easier to replace them in case they are lost or stolen. Always pack your medications in your carry-on baggage. Do not place your medications in your checked-in luggage in case of loss or theft. Also, some medications do not tolerate the cold temperatures of the baggage compartment. Bring an extra supply of medication in the event you extend your stay. Do not stop taking your medications or reduce the dosage during the trip because you are feeling better. Remember that certain medications, dietary supplements and over-the-counter homeopathic products used in Canada may be illegal in other countries or require a prescription. If you require needles or syringes to take your medications, bring a note from your Doctor or your Pharmacist. Purchasing travel insurance to protect yourself while travelling is highly recommended. Get the best private travel health insurance you can afford. Contact your credit card company, as certain companies provide travel health insurance. 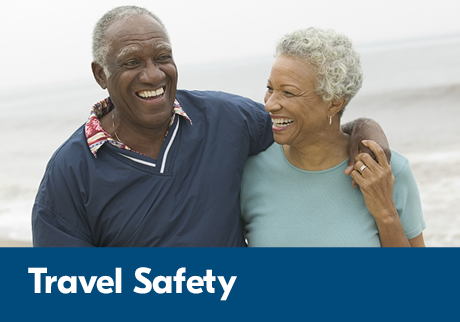 Check the terms and conditions, limitations and requirements of your travel insurance before you leave for your trip. Canadian government offices abroad provide assistance around the clock. You can count on immediate assistance. For emergency assistance after hours, your call will be automatically forwarded to a consular official in Ottawa. You can also make a collect call (where available) to Global Affairs Canada in Ottawa at 613-996-8885, or contact the Emergency Watch and Response Centre by e-mail at sos@international.gc.ca or by fax at 613-943-1054.